HARDY: Yes Amy, there is a character that I think is like me. Although I do not have the stature of a football player, I tried to create Dion Murphy in my image. I too was turned down by West Point, and was raised on a farm like Dion. After attending Catholic grammar school, I enrolled in a small public high school that was too small to field a football team, but I was very adept at intramural sports. Also, Dion and I we were both Marine officers, and I tried to project how I feel about women into his character. To answer the second half of you question, there is no doubt in my mind the characters of Norman Coddington, Dion's platoon sergeant Jim Russ, and Sid Johnson (the Marine sniper who kills Ngu Gin) are based on real life Marines. Even Ngu Gin is a character based on a North Vietnamese sniper, who ate cobra meat to give him courage. Some of the other people in the story are real, but I didn't know them personally. FQ: Can you tell readers how this project first came into your mind? HARDY: After my first stint in a Marine Corps Reserve artillery battery, I attended college and I was reading a newspaper article about an army nurse, who just returned from Vietnam. As she was walking through the airport in uniform, some kid with a punk hair cut hit her in the back with an orange and called her a baby killer. That kid, who probably wasn't smart enough to wipe his own arse, had no clue as to what the doctors and nurses did and endured n Vietnam and on the hospital ships. At Da Nang hospital alone, they treated 66,000 patients during the war, both American and Vietnamese. I was infuriated, and thus in my mind was born the characters of Cathy Addison and Marlene Larkin. By the way, although the four main characters are fictitious the events of the war are mostly based on facts. HARDY: In volume II, the F4 pilot, Norman Coddington is angered by the Viet Cong trying to hit the hospital where the love of his life, Barbara Mandera, is working, not to mention the wounded and he seeks his revenge. Dion Murphy ends up in intensive care and Cathy Addison is his nurse. While caring for the wounded, a Viet Cong patient sneaks up behind her with the intention of stabbing her in the back with a pair of scissors. Barbara Mandera's ex, a psychopath named Ray Slaugh, discovers she is in Vietnam and he stalks her with the intention of killing her for leaving him. She eludes him so he decides to take his revenge out on Cathy Addison, Barbara's best friend in Vietnam. We meet another nurse named Nina Mumsford, an army nurse assigned to Korea, who falls in love with a handsome doctor and leaves her state-side husband, and lives to regret it. She meets up with Cathy and Barbara in Vietnam, and her experience is invaluable when Ray Slaugh stalks and terrorizes the entire women's barracks in his search for Barbara Mandera. 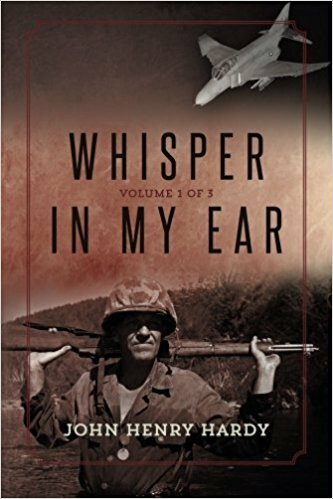 This volume is meant to give the general public an understanding of what women in war can go through, even due to the problems created by American soldiers as well as the Viet Cong. HARDY: Thank God our returning vets no longer have to endure the horrors heaped upon our military by the "me first generation" during the Vietnam War! Obama did virtually nothing for the veterans, who sacrificed life and limb for our great nation. When Donald Trump was elected president, I got down on my knees and thanked our Creator! Under Trump's leadership the public's opinion has done a one hundred eighty degree turn towards our veterans (although it actually started changing somewhat before then). But as president he is strengthening our armed forces and the treatments of our veterans. The one thing I would like to see changed as of this moment is the availability of housing. So many of our veterans are living on the streets. Even if we could just provide temporary housing until the vets were able to improve their lives and get back on their feet (so to speak) it would be a great step forward. HARDY: I entered the US Marine Corps on 27 June 1961 as a scared and skinny private. It was also my 22nd birthday. After basic training on Parris Island, South Carolina, it was on to infantry and artillery training. At that time, President Kennedy sent additional advisors to South Vietnam in light of China's providing North Vietnam with military aid and their attempt to spread communism, and our armed forces were struggling with the type of training needed to counter-act guerilla type warfare. My stint was over in 1966 and I entered college, and the day before I graduated in 1972 I reenlisted in the Marine Corps Reserve, with the intention of going to Officer Candidate School. However according to the needs of the Corps at the time I was promoted to Warrant Officer and served in various billets as a Military Police officer and later as a Public Relations officer, and a Marine Aircraft Group Staff officer for almost ten years. Then I transferred back to the fourth division were I served as a platoon commander, company commander, engineer officer, and Force Level Staff officer, where I retired on 27 June 1999. I was in the active reserve and on active duty at various times during my career, but never assigned to a combat zone. However, I met hundred of Marines who were there and got to know a lot of what on in Vietnam from their first hand experience, as well as interviewing other personnel in the army, readings book by those who served there, and doing other meticulous research. While the four main characters in the story are fictitious, the events of the war as depicted in Whisper In My Earare factual for the most part, as is the culture of the Vietnamese at that time. HARDY: Having a BA in Psychology helped a little in character development. I wanted to be a clinical Psychologist and the company I worked for paid a good deal of my tuition. But in New Jersey you need a Master's Degree to be a licensed psychologist (at least at that time). Unfortunately, the company needed lawyers on its General Counsel and was paying thirty one selected employees to attend law school and also paid them a salary while attending classes. The day before graduation thirty of them resigned, and the company changed the tuition rules so I could no longer continue in my area of interest. But being older and my own personal life experiences, working for a large corporation, and being a Marine actually helped me the most. FQ: Is there a memorable moment you can share in regards to meeting a veteran who read this book? Something that perhaps really struck you? HARDY: Yes, when I was in grammar school I was encouraged to continue writing and finished my first novel when I was eighteen. I have already written a novel called The Place Where The Giant Fell, which deals with prejudice in pre-statehood Arizona, and another book When Brothers Meet that deals with the humungous debt of our country and the attempts of China and Russia to destroy the United States and control the world's oil supply. HARDY: I love what President Trump is doing for our country right now. I don't care what he Tweets, what his personal relationships are or were, or what the party, whose appropriate symbol is a Jackass, says about him. Strengthening our military, dealing with the unfair trade balances, and his attempts to seal the border are primal problems facing this nation. I also love Lincoln. He saved the union and abolished slavery forever in this country. What amazes me is that the Democratic Party was the dominant party in the south and fostered the slavery of blacks. Yet most blacks who are registered are Democrats. If I was a black man and knew that about the Democratic Party, I wouldn't walk away, I would run!